Find a grest variety of Medieval swords, Medieval and Renaissance Rapiers, Medieval and Renaissance Long Swords, Scottish Medieval and Renaissance Dirks, Renaissance Musketeer Swords Rapiers and Weapons, Priate Sabers, Renaissance and Revolutionary War Sabers and we have more than you can imagine. 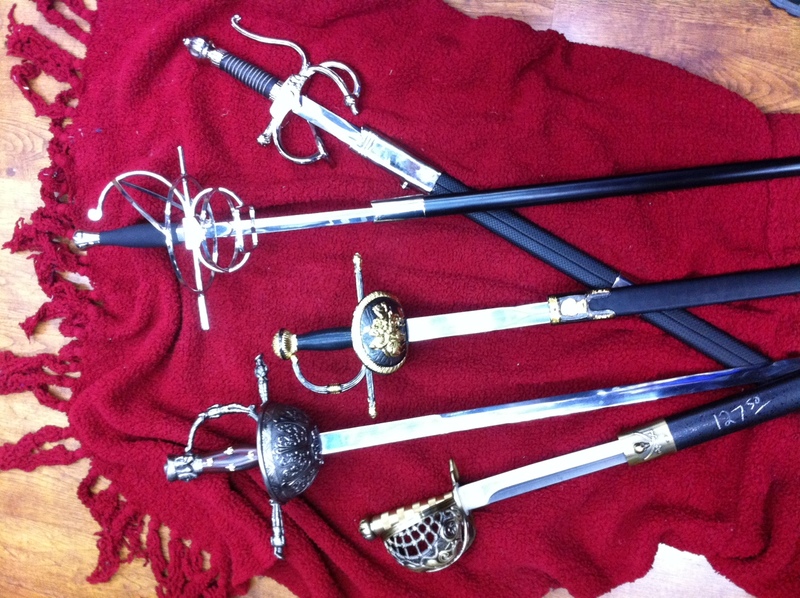 Our swords and weapons will complete your outfit with the perfect look for any period or costumes you can think of. This entry is filed under Civil War, Conquistador, Cossack, Crusader, Executioner, Fantasy, Gypsies, Highwaymen, Knights, Military, Pioneer, Renaissance, Scarborough Fair, Warriors Women, Weapons. You can follow any responses to this entry through the RSS 2.0 feed. Both comments and pings are currently closed.